Designed to provide high volume intake and exhaust ventilation with maximum protection against water penetration even in the extreme weather conditions. AMCA 500-L certified for air performance and manufactured of extruded aluminum. 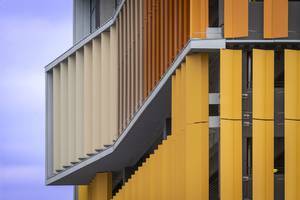 Provides protection against wind-driven rain and vertical blade offers a distinct look to a building’s facade. Feature all-aluminum construction and offer corrosion resistance and aesthetic characteristics. 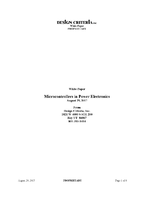 Meet impact resistance standards located within the wind-borne debris regions. Designed for use in hospitals, jails, detention facilities, fire and rescue, police stations and emergency vehicle garages. Provides added protection to buildings during hurricane conditions and is made up of extruded aluminum which offers high resistance to corrosion. Designed to sustain wind load of 160 psf and meets AMCA 540 and 550 standards. Its 1.25-inch vertical blade spacing prevents penetration of wind-driven rain and earns Class A efficiency rating at 50 mph. Meets AMCA standards 540 for basic protection and 550 for high-velocity wind-driven rain. 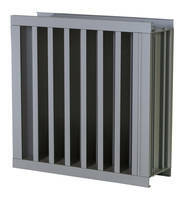 Thin and light louver made up of extruded aluminum for low maintenance and high corrosion resistance. Closely-spaced vertical blades have earned Class A efficiency rating at 29 mph and 50 mph that prevents penetration of wind-driven rain. 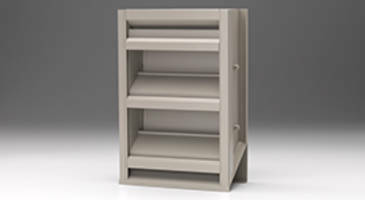 XP500WD FEMA Louvers uses blade that offers both FEMA protection and AMCA tested Class A wind driven rain protection. Product reduces installation time and is useful for builders and designers. EME520V 5 in. 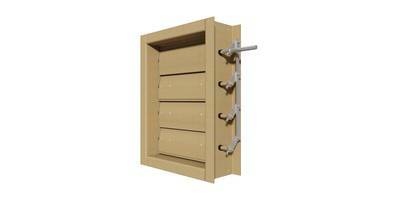 Vertical Louver is AMCA certified. EME520V 5 in. 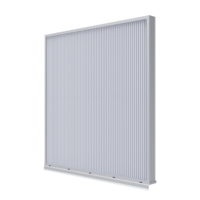 Vertical Louver is constructed of extruded aluminum. Unit is integrated with closely-spaced vertical blades which prevents penetration of wind-driven rain. Product comes with 43 percent free area and limited five-year warranty. 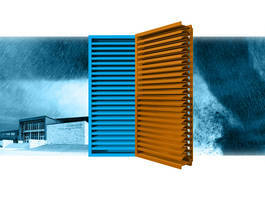 Louver offers wind-driven rain performance of Class A at 29 and 50 mph. 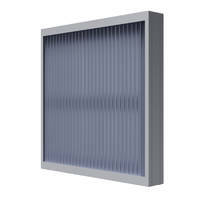 Thinline Louvers are made of heavy-gauge aluminum. 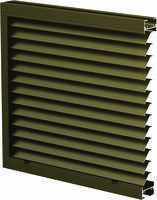 Available in ESU-153 and ESU-154 models with blades positioned at 30° and 48° angles respectively, Thinline Louvers come in 96 in. x 48 in. single section size in frameless configuration. Suitable for interior and exterior applications, units can be installed on packaged terminal air conditioning system as exterior grilles.